We've recently been experiencing a fairly mild winter where we are yet to don numerous layers of knitwear to brace ourselves for the chill that hits us, as soon as we step foot out of the door. Hence this outfit being the exact result of this. 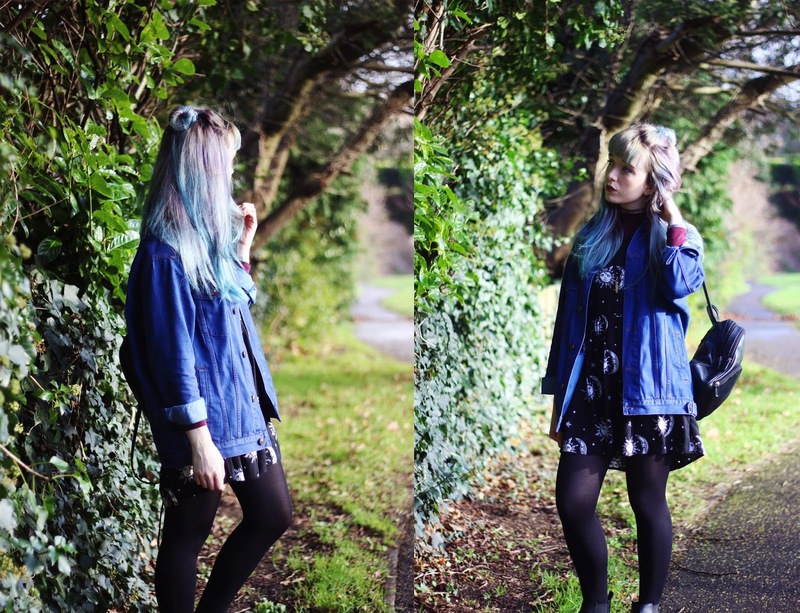 Who would have thought it would be ok (and fairly reasonable) to wear a denim jacket a week before christmas? It is a good job Santa is bringing me a ski style parka jacket for christmas...to shield the (non-existent) cold weather. Think of this sighting of a denim jacket as a pre-warning to a denim overload/obsession/fixation to come. I don't know what has come over me, but I have this sudden pulsation to buy as much denim as possible in a short space of time. Maybe it's a premeditated sign of the denim "shortage" to come. *Currently playing in the record player* Foals "Albatross" , Sonic Youth "Drunken Butterfly" , QOTSA "...Like Clockwork" & Drenge "Running Wild"